Is it possible to buy one of every single beer in America? Two guys are about to find out as they currently travel the country attempting to tackle this heroic feat. What a tough life. 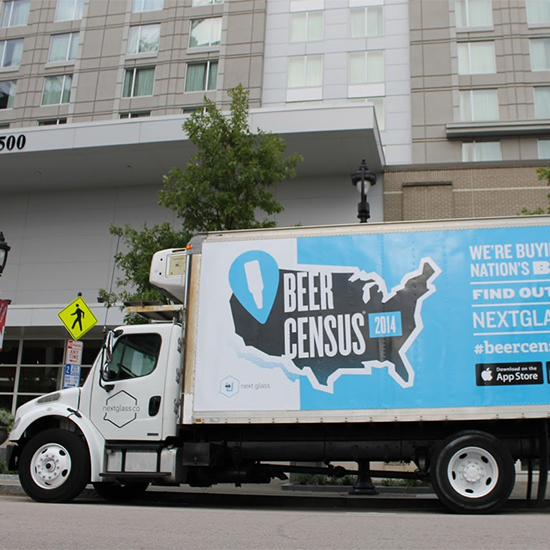 A little over a month ago, George Taylor and Stephen Pond embarked upon what they have dubbed “Beer Census 2014.” Their goal: document every single bottled or canned beer sold in the United States. According to Seattle’s KOMO News, so far they’ve bought nearly 20,000 beers in their 36 days on the road. The project isn’t all getting drunk and giggles though. In fact, quite the opposite. It’s all business and science. Taylor and Pond are bringing the brews back to the headquarters of their company Next Glass. There, the beers will be analyzed and entered into a database for use in the company’s forthcoming mobile app. The idea is that you let the Next Glass app know what beer (or wine – they’ve reportedly cataloged 73,000 bottles of that) you like, and it will suggests other drinks based on your preferences. But Next Glass app won’t be available until at least November. For now, it’s all about the company’s great beer quest. They are hoping to double the amount of beers in their records before all is said and done. Whether that truly is every bottled or canned beer in America, well, I’m not sure. But if there are any angel investors out their looking to help fund me, I’d be happy to double check.